I must admit, that this site is one of the most complete one I've ever seen. But some of the exercises depicted have serious flaws to them. Take for example the stiff-legged deadlift. In the clip, the individual loses his lordosis during the lowering of the bar. This will only ensure ligaments being stretched and create greater instability in the lumbar region. Same applies for the Seated Row. Leaning over while returning puts the stress solely on the ligaments of the spine since the musculature is relaxed. Also, the incline sit-up can also create some pressure unto the lumbars from the Psoas muscle. Having your feet anchored active the movement from the origin rather than the insertion. One last suggestion, would be the exercises for low back and recuperation. Most low back problem are caused from lack of flexibility/muscular lateral imbalance. Working the core stability and flexibility rather than weight training would be most beneficial for those people. I'm sure you can relate to these issues and hopefully make corrections. After all, its for everyone's good. Muscular imbalance and inflexibilities may be attributed to injury, but the causes of lower back injury are poorly understood (Nelson 1993). Although the views you express are popular, I used to hold similar beliefs, other authorities and I disagree with this oversimplified theory. These generalizations are, in contrast, certain peer refereed journals, academic texts, empirical evidence, and my professional experiences. Commonly held beliefs on the causes of injury are often not supported by scientific studies. For example, a past colleague performed an exhaustive review of the scientific literature on the problems associated with hyperextension of the lumbar spine during the Powerlifting-style bench press. He found no studies remotely demonstrating problems with this posture despite commonly held beliefs in the exercise community. Even the idea that flexibility exercise decreases injury has been questioned by recent studies and meta-analyses. See Stretching and Flexibility. Certainly, certain individuals may need to improve their flexibility in particular joints, yet, others may be found to have too great of flexibility through certain joint articulations. To suggest flexibility, training should be prescribed over strength training is a gross overgeneralization. Strength training has been shown to be very beneficial in physical therapy and injury reduction. Just look up the studies listed below (see references) and the many others listed on PubMed. It is interesting that many orthopedic surgeons denounce certain commonly performed exercises. For example, some physicians condemn squats, citing how destructive they are to the knees, despite scientific studies and millions of personal experiences to the contrary. It is undeniable that people can hurt themselves on any exercise, more some than others, but the issue is much more complex than the exercise itself. Poor form, faulty technique (including altered form due to fatigue), bad program design, insufficient warmup, overtraining, lack of progression (eg: exercise selection, resistance, training volume), and certainly, particular biomechanical deficiencies predisposing individuals to injury are all factors that lead to injury. Also see Causes of Injury. During the first portion of the sit up, the abdominal muscles flex the spine. The hip flexor muscles flex the hip to complete the movement. If the abdominal muscles are not strong enough to counter the Psoas' pull on the spine, the lumbar vertebrae can be forced into hyperextension. This can occur during other hip flexor movements as well. Steven J. Fleck, PhD and William J. Kraemer, PhD are probably the most well respected scientists studying resistive training. Fleck and Kreamer have dedicated their careers in investigating, researching, and writing both scientific and mainstream publications on weight training. Kreighbaum (1996) states: "The physical condition of the performer dictates how safe and effective these exercises will be in strengthening the abdominal"
For those with no history of lower back pain during hip flexion, situps or leg-hip raises can be considered, so the abdominal and hip flexors can be exercised in a single exercise. A determination should be made if the client has adequate abdominal strength to counter the psoas' pull. Like the lower back integrity previously discussed, this biomechanical deficiency can be easily corrected (see links immediately below). Crunches, or half sit ups can be prescribed for the first months before the introduction of hip flexor movements. Incidentally, the bend of the hip severely diminishes Psoas' mechanical efficiency and consequently, its pull on the lumbar spine. See tension potential. Kreighbaum (1996) adds: "For a performer with weak abdominal, the hip-flexed position is the best". Flexible hip flexors and strong abdominal muscles are particularly important before performing the Decline Situp, Roman Chair Situp, Leg Raises and Hip Raises since the hip becomes fully extended. As for having your feet anchored affecting movement from the origin rather than the insertion, this essentially does not affect its activation. The muscle contracts through out itself, despite the end that moves (origin or insertion). Are the forces through the Latissimus Dorsi somehow different in pullup as compared to the pulldown? Your old physics or biomechanics book will clarify the forces are indistinguishable. Incidentally, the crest of the pubis is often referred to as the origin of the Rectus Abdominis, anyway. Obviously, man made classification systems do not perfectly fit all constructs; these semantics merely propitiate rhetorical arguments. In a horizontal position, the anchoring of the feet will allow you to stabilize the lower body without extending the legs to counter the leverage and momentive forces of the upper body during its extended leverage in the lower position. Remember when the hips are extended the Psoas is activated more. In an incline motion, the anchoring of the feet prevents you from sliding back, or falling on your head. If a client has such weak abdominal that their psoas is pulling on the back, corrective exercise should be performed months before they start on intense hip flexor exercises. To say sit ups are bad, or any other exercise is bad is a gross over-generalization. Also see Are Sit-ups Safe?. The Cable Seated Row is an excellent movement to condition both the upper and lower back. Even Arnold Schwarzenegger as well as countless other weight trainers perform their cable rows with an articulating spine. The body adapts to specific stresses placed on the body as long as certain principles are followed. Both the muscles and joint structures can adapt to progressive stresses. Even the elastic limit of a tendon or ligament can be enhanced by exercise and training and can be reduced by aging and inactivity (Tendon and ligament adaptation). Ligaments are not inert. During the seated row with spinal articulation you say, "Leaning over while returning, puts the stress solely on the ligaments of the spine since the musculature is relaxed." In order to relax, the muscles of the low back, the exerciser would have to set down the resistance weight and pause. Even if the exerciser deliberately relaxed the musculature with the spine completely flexed, the stretch in the lower back muscles would activate the muscle spindles, or stretch receptors, maintaining an involuntary contraction for several seconds. As with any exercise, moving through the full range of a joint's motion is recommended, yet not beyond. Ironically, splinting the lower back during all movements can lead to the degeneration of the joint structures of the spine (Nelson 1993, 1995). Including an exercise such as the Cable Seated Row that involves actual (dynamic) movement of joint structures and accompanying muscles are important for lower back integrity. As the saying goes, "Use it or lose it". The Cable Seated Row with articulating spine, the Cable One Arm Twisting Row, as well as the Straight Leg Deadlift (below) offer more natural forces to entire kinetic chain as compared to Lever Back Extension and can be implemented progressively for those requiring high degrees of functionality such as certain athletes and manual laborers. It is interesting to note that competitive rowers, including athletes at the Olympic level flex their spine throughout the rowing movement. Also see Low Back Debate. The Cable Straight Back Seated Row has been included for those who desire less lower back involvement during this movement. Fleck and Falkel (1986) cite a study that demonstrates compression forces are not excessive when the lumbar spine is flexed and the weight is held close to the body. In addition, intra-abdominal pressures generated during heavy lifts reduce extensor movements, thus further reducing stresses on the lumbar spine. These techniques are used in the execution of straight leg deadlift. Notice the weight is lowered to the top of the feet and not just beyond the feet. Illustrations in articles suggesting destructive forces on the spine are quite different than the straight leg deadlift. According to the ExRx description and animation, the weight is kept very close to the body. Positioning the resistance away from the body subjects forces on spine structures much greater than the straight leg deadlift described. Performing a movement with a weight or range of motion that is significantly beyond what they are accustomed greatly increases risk of injury, particularly with this movement, but that does not make it a dangerous exercise when performed with common sense guidelines. Keep bar over top of feet, close to legs. Do not pause or bounce at bottom of lift. Do not lower weight beyond mild stretch throughout hamstrings and low back. Full range of motion will vary from person to person. Choose platform height that allows contact with floor with slight stretch or set to height that allows bar to be lowered only millimeters from floor during warm up. This small reserve allows additional room to accommodate the hips loosen up and the grip to give slightly, but not so much that would increase risk of descending too far down, beyond a slight stretch. Those with less flexibility may not even need to stand on platform. When finished with set, dismount by lowering weight with knees bent and low back straight. 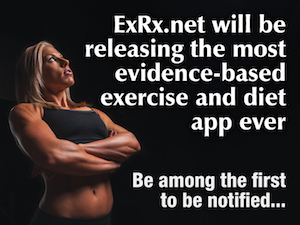 Lack of recuperation is only one of four reasons of injury as outlined in the ExRx site. Like you, I once believed lower back pain was mainly caused by a weak abdominal, flexibility, etc. until I met a researcher whose team published their findings referenced below. The studies and accompanying papers strongly suggest other biomechanical factors contributed to the health of the lower back, specifically lower back strength throughout a complete range of motion. The artificial splinting of the lower back that so many professionals advocate is a short term solution. The avoidance of full range of motion promotes deconditioning and consequently, deterioration of the joint structures. (Nelson 1993, 1995) This shortsightedness is in total contradiction of the most basic principles of exercise: specific adaptation to imposed demands (SAID). I personally have not seen a higher incidence of injury to my clients on the straight leg deadlift as compared to other exercises. I certainly agree it would be a risk to perform the straight leg deadlift for individuals with certain low back disorders, or those who do not conform to the 4 adaptation criteria outlined on this site. Although many individuals from industrialized countries suffer from lower back pain, if I were to remove the straight leg deadlift and other exercises based upon certain people's idiosyncrasies, there would be few exercises to left to demonstrate. I have supervised hundreds of individuals who have performed the straight leg deadlift and similar exercises with excellent results. Individuals with occasional lower back pain have reported dramatically less, low back discomfort. One of my clients was 73 years old! For my clients with occasional lower back pain, I most often start them on the Lever Back Extension or Cable Seated Row with spinal articulation and perhaps, later move them into Hyperextensions. After a few months or so on these preliminary exercises, I introduce my clients to the straight leg deadlift with a 10-20 lb bar and progress them systematically (See Shorthand Log). When people stopped this exercise for a few weeks, they reported their old sporadic lower back pain comes back. This went away after resuming their program. I often find it difficult to persuade some clients to try other exercises after a month on the straight leg deadlift due to their excellent results. I perform the straight leg deadlifts working up to 495 lbs with complete spinal flexion with the bar touching the top of my feet. I can personally assure you, I have little instability in the lumbar region after years and years of regularly performing this exercise. The straight leg deadlift with a rounded back is suggested by other experts, including Greg Shepard, the Author of Bigger Faster Stronger, pg 90-91. His program has been used by more than 9000 high schools over the past 30 years. Both Dave Tate, world famous champion powerlifter, and Louie Simmons of Westside Barbell recommends both arched back and rounded-back good morning in addition to Reverse Hyper-extensions for low back conditioning. In their book, the illustration of the Rounded-back Stiff-Legged Deadlift appears as though the boy was using 135 lbs. Dr. Fleck and Dr. Kraemer's credentials are impeccable. Experts such as Fleck and Nelson, as well as the ACSM weight training guidelines all recommend implementing full range of motion resistive exercises. Also see Dr. Brian Nelson's interview regarding the use of spinal articulation in rehabilitation for chronic disorders of the spine. The limitations of an exercise program should be customized for each individual, not the general population, as some exercise professionals have proposed. The individual's goals, medical history, orthopedic health, etc. as well as the limitations of the exercise professionals' knowledge need to be considered. Obviously, certain exercises may be considered contraindicative for some people, at least until particular injuries and biomechanical deficiencies are corrected and the principles of specific adaptation can be observed. - If you can't use chopsticks, don't blame it on the sticks. - The only difference between stumbling blocks and stepping stones is the way you use them. Carpenter DM, Nelson BW (1999). Low back strengthening for the prevention and treatment of low back pain. Med Sci Sports Exerc. 31(1):18-24. Fleck SJ and Falkel JE (1986).Value of Resistance Training for the Reduction of Sports Injuries. Sports Medicine, 3, 61-68. Kraemer WJ, Fleck SJ (1993). Strength Training for Young Athletes, 96-97, 105-106. Kreighbaum E., Katharine, BM (1996). Biomechanics: A Qualitative Approach for Studying Human Movement, Allyn & Bacon, 4, Pgs 203-204, 236. Nelson BW. (1993). A rational approach to the treatment of low back pain. J Musculoskel Med, 10(5), 67-82. Nelson BW, O'Reilly E, Miller M, Hogan M, Wegner J.A, Kelly C (1995). The clinical effects of intensive, specific exercise on chronic low back pain: a controlled study of 895 consecutive patients with 1-year follow up. Orthopedics, 18(10), 971-981. Risch SV, Norvell NK, Pollock ML, Risch ED, Langer H, Fulton M, Graves JE, Leggett SH. (1993). Lumbar strengthening in chronic low back pain patients. Physiologic and psychological benefits. Spine,18(2):232-8. Shepard G (2004). Bigger Faster Stronger, 90-91.